Why do my emails are dropping in spam? How can I reduce it? All Questions › Category: Email Marketing › Why do my emails are dropping in spam? How can I reduce it? This means that different causes need to be checked. As you may know, most people now spend more time reading their emails than they do surfing the web. Email is one of the most powerful mediums that you can use to talk to visitors, customers and prospects. In this article I will discuss 15 best practices that you can use everyday in your email marketing activities. Used wisely and consistently, there’s no doubt you’ll see an increased response from your subscribers — whether it be for more feedback, more product/seminar registrations, or even more orders. The majority of large Internet service providers now use rigorous spam protection mechanisms to trap unsolicited email before it gets into their customers inboxes. Spam filters generally “rank” each email by a number of different criteria, and, if that email rates above a certain level (such as 10 spam points), then it is flagged as spam and deleted. Numerous research papers tell us that the majority of Internet users respond better to a plain, bold, blue text link — such as this — as opposed to a banner or button. So, if you’re going to include links in your emails, make sure they are bold, blue and underlined. This will mean that more subscribers click through, meaning more conversions/sales for you. If you were standing in a crowded mall, which of these would get your attention: “HEY, YOU!” or “HEY JOHN” (assuming your name is John). The power of personalization can and should be used in your emails. In-fact, by simply starting your email with “Hi [subscriber_name]” instead of the boring “Hi there”, you can increase both your reading and click-thru rates by up to 650%. Why? Put simply, it’s because your subscribers feel like they already have a relationship with you as you’ve addressed them by their first name. If you want to grow your mailing list, then there are 2 things that you absolutely must have: a double opt-in process, and a quick way to unsubscribe. In some countries, it’s actually mandatory by law that every email has an unsubscribe link in it. The unsubscribe link should take the recipient directly to a page where they are then removed — courteously — from your mailing list. Don’t get accused of spamming — always, and I mean always use a double opt-in confirmation process. Double opt-in means that after your visitor initially enters their email address to subscribe to your list, you should then send them a “confirmation” email. This email should contain a special link back to your email-marketing program, which will then verify that this visitor did indeed sign up to your mailing list. Studies conducted by online research analysts have shown that the best days to perform a mail-out to your list are Tuesday and Wednesday, as this is when people are more receptive to communication. This means that they are more likely to read your content and click on links, meaning more sales. On Mondays, everyone is still recovering from a hectic weekend. On Thursday and Friday, people are already too busy looking forward to the weekend. We’ve actually experimented with this, and received the best results by sending out emails at around 2-3pm (American Pacific Time) on a Wednesday. An auto responder is an email that is scheduled to be sent at a certain time interval after someone subscribes to your mailing list. Auto responders are a great way to automatically follow up with your subscribers or provide them with more information on your products/services. For example, if you provide a free newsletter, you could setup 3 auto responders for new subscribers: the first is sent 1 hour after they subscribe. It contains a thank you message and a link to get 10% off your newly released eBook. The second is sent 24 hours after they subscribe, telling them about your community message boards, and the third is sent 72 hours after they subscribe, in which you can offer them a special deal on becoming a paid member of your site. Auto responders help your subscribers build trust in both your company and your brand, and this can help make it easier when trying to close sales in the future. If you’re running a newsletter or frequent email publication, make sure you keep the look and feel consistent from issue to issue. By keeping the look and feel consistent, you help to maintain and strengthen your brand and your image to your subscribers, which again will make it easier to close sales when you need to. Create a template for your newsletter and whenever you need to create a new issue, use that template as the basis for each issue. When sending a regular email to your subscribers, always make sure that it’s sent on the same day, at the same time. For example, every Wednesday at 3pm. Your subscribers will come to “expect” your email to arrive in their inbox on the same day at the same time every week, meaning that they want to read your content and are generally more receptive to any special offers or promotions you may include. When your email arrives in your subscriber’s inbox, you generally have about half a second to catch their attention with the subject line of your email. After this, they will either delete your email or ignore it. In your subject line, try and specify a benefit that the subscriber can expect by reading your email. For example, instead of using ‘OurSite Newsletter Issue #1’, use ‘OurSite Newsletter: 10 Tips for Financial Freedom’. Free is overused these days, especially on the Internet. However, if you’re looking to grow your subscriber list, then create or source a product of value to your visitors (such as an eBook or discount coupon) and offer it to them for free when they signup for your newsletter. To make sure they don’t simply type any email address into your subscription form, setup an auto responder to send them the free bonus 1 hour after they subscribe to your newsletter. Popular email clients such as MS Outlook show a preview of an email when it’s selected in your inbox. Always have some interesting content at the very top of your email, as this is the part that will show in the preview window of your subscribers email program. If it’s interesting enough, then your subscriber will open your email and continue on reading. When creating marketing emails, try using different text for both content and links. Also try re-positioning images such as logos and buttons. After sending about 3 different emails, compare the click-thru stats and see which one worked best. Now, when you need to send marketing emails in the future, you know that you will be sending the right mix of content and images that will attract the most click-thrus, and ultimately the most sales. Add value to your website, build trust in your visitors, establish your credibility and collect more subscriptions to your mailing list by setting up an email-based learning course. To do this, simply create a series of auto responders (for example, 5) containing unique content. Then, schedule the first one to be sent after 24 hours, the second after 48 hours, etc. By implementing the 15 best practices described in this article, you can take your email marketing to a whole new level –- attracting more subscribers, and building both your brand equity and credibility at the same time. Delivery rates are important, but if you fail sometimes, it’s not the end of the world. There is actually no need to panic – breathe normally and get acquainted with a tiny 5-tip email marketing strategy we have prepared for your peace of mind. Remember – your mission: 1. To improve your email delivery and 2. Stop suffering from truly high bounce rates as well as spam complaints! When you think of your subscribers’ list, forget the dumb rule “more is always better”. Imagine, if a subscriber does not open your newsletters for 6 months… it’s like you’re talking to an empty auditory. You definitely start thinking “is there something wrong with my subject line?”, or “what if my email campaign goes straight to spam?”. Most probably – none of the reasons… They are just inactive, so remove them from your email list without bothering. Which one of opt-ins is more popular? Single, or double one? 10 out of 10 – it’s single opt-in. And you know why? Because of an easier way to gain subscribers. Users simply check a box or even leave a pre-checked box already checked and without realising –agree to receive newsletters. Tricky, right? If you’re interested in fast and easy subscribers’ growth – it might be an option. But always remember – it’s more than dangerous because of spam complaints! Don’t wait till you get 3-5 spam reports, which can actually lead you to blocking sending systems. Use double opt-in and make your subscribers confirm agreeing on a subscription. It is not a secret that a regular schedule is something big on your way to success. This is the reason I am inviting you to stick to you strictly consisted email sending schedule. One smart way to build up your email reputation and significantly improve email delivery is by sending your email campaigns in even intervals. Just think about it, if you send your newsletters at erratic times of the day and week, your subscribers may stop reading or even stop interacting with your emails. But seriously, when is the right time to send? 5 a.m.? Fridays? Every two days? All you have to do – figure out by testing testing testing it thoroughly. If it’s not “from” your brand, it should totally be from a team member of your brand. The main point is that if you can build a trust with your subscriber by sending your email campaigns on a regular schedule, you can do it by picking the same “from” name. For instance, it is way much better if you send if from “Sender Blog” than from donotreply.sender-blog.net. Moreover, it is quite trendy to pick someone’s name from a company and send a campaign like “Gabriele from Sender Blog”. The idea is to fill the subscriber’s inbox with a personal touch. Try it – it’s more than worth it. There’s this quite popular tool that actually lets you find out about your sending reputation. Check out where you stand by using sender score platform calculator. How does it calculate the score? “Unsubscribe” and spam reports are doing their job! If you decide to use a platform that really delivers, use Sender.net! So, there are a lot of free email validation platforms but these are not guaranteed 100% cleaning accuracy and are likely to be less well developed than paid ones (In terms of API). I have a list with 80k subscribers, and i used platforms like neverbounce and zerobounce. They are both fantastic validation systems, but zerobounce comes with a easy to use API and provides a lot more information. If you want to test Zerobounce, you can get a free trial for 100 emails.I am currently using the 150$ package for 100k emails. You have to be very careful with your sending reputation, too many bounces or getting blacklisted will be very bad news. The best thing to do is to use an email validation service to clean your emails and remove the invalid, spam-trap, catch-all, temporary and so on from your list. I suggest you try using Zerobounce , it’s an easy to use email validation service that offers amazing results in accuracy! We provide an easy to use service with multiple options for your needs, your lists can be cleaned in bulk or with our single email validator. We also have a restful API that is very easy to incorporate into your platform for instant validation! And 24/7 Customer Support that is very reliable and quick to assist you with any need you may have regarding the platform! It is the best email validator service with an accuracy rate of 98%+. It has built in Abuse Detection – Meaning it will flag emails addresses known for clicking the spam button. It has spam trap detection – Contrary to popular believe that all spam traps are not detectable. It’s simply untrue, there are many spam filters that will auto-reply that the email is a spam-trap and you email it again, you’re blacklisted. Data Appends – This is amazing, they will tell you the first name, last name, and gender for the majority of your emails – What other company does that? IP Location – If you upload the IP address, it will append the location the email was captured from. 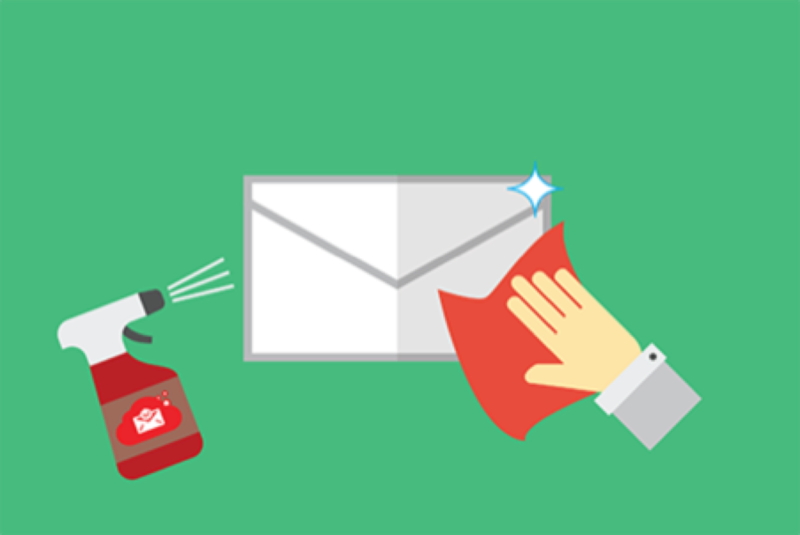 Disposable/Temporary Email Detection – If an email is a temporary email address it will tell you, those are not worth mailing too. Catch-All Detection – Meaning the email address can be good/bad – these addresses will always verify as valid. Do Not Mail – Role based emails and emails from spam companies fall into this category. Can we send bulk emails in outlook without being shutdown? Any Good Alternative For SendinBlue Email Marketing? Send a personal email to an email list unsubscriber and ask why he/she subscribed? How can I get email address lists for sending bulk emails? Can anyone suggest me any safest email marketing service and that too at a reasonable price. Getting very less Inboxing and open rate while sending emails? Does email reputation is affected when I will send a lot of emails at a time? Is there any way to get IPs for Email Marketing?